We are so poor at cross-race facial recognition, because it’s so easy for us to concentrate on obvious racial features rather than individual characteristics. Bias? This is human psychology. 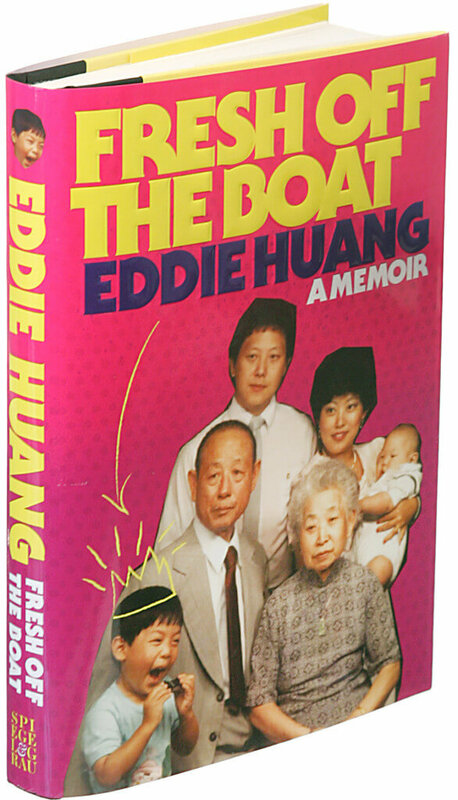 No wonder that I fell in familiarity quickly after watching Fresh Off the Boat, the latest and first Chinese American stereotyping family sitcom aired in mainstream television network primetime. Well, it must be the same reason the show producer hired Mr Randall Park as the leading actor. Mr Park is a Korean American. In the end of 2014, confidential data from Sony Pictures Entertainment was hacked by an anonymous group called ‘Guardians of Peace’. The group also threatened SONY to attack cinemas if the film The Interview was released to the public. It was a tasteless political comedy about a plot to assassinate DPRK leader Kim Jong-Un, who was played by Mr Randall Park. My mother’s father had six kids. After the Cultural Revolution, the family fled to Taipei. My grandma was pregnant with my mother at the time so my mother was the only one born there. M.I.T. – Made in Taiwan. There is a huge defect in the timeline, because his mother couldn’t be born after the Cultural Revolution, which ended in 1976, while Mr Huang was born in 1982. I believe he meant the Civil War, which ended around 1950. The Chinese Civil War was the ideological conflict between Kuomingtang (KMT) and Communist Party (CPC) from 1927 to 1950. Eventually it resulted two de facto Chinese states, Taiwan (ROC) and China (PRC). The better-known worse-than-war catastrophic Cultural Revolution, formally the Great Proletarian Cultural Revolution, was a cruel social-political movement in PRC from 1966 until 1976, led by its almighty Chairman Mao. Both incidents are still kind of taboo in PRC as CPC is still in power today. I don’t blame an American for mistaking Chinese history in a book. Actually, who the hell cares about history nowadays since anyone can Google it in a second? Oh, I forgot to be considerably politically-correct! It’s apparently nothing to do with Chinese history or immigrants. As you see, the show producer has already properly used ‘Five-star Red Flag’ for our ‘Fresh’ family of Taiwanese descent. (Disclaimer: The national flag of PRC is not sponsored by any five-star hotel most affluent PRC tourists like to stay in.) The ‘Fresh’ sitcom appeals to millions of Asian Americans who have largely been excluded or misrepresented in the ‘black & white’ mainstream. Attention, these Asians generally refer to family origins of Far East and Southeast Asia, distinct from Indian subcontinent and Middle East Asians. Sorry, am I undermining stereotypes or enforcing them? What does the show do?